Expand your workforce, maintain compliance, and automate your routing with WorkMarket integrations. How do WorkMarket Integrations work? 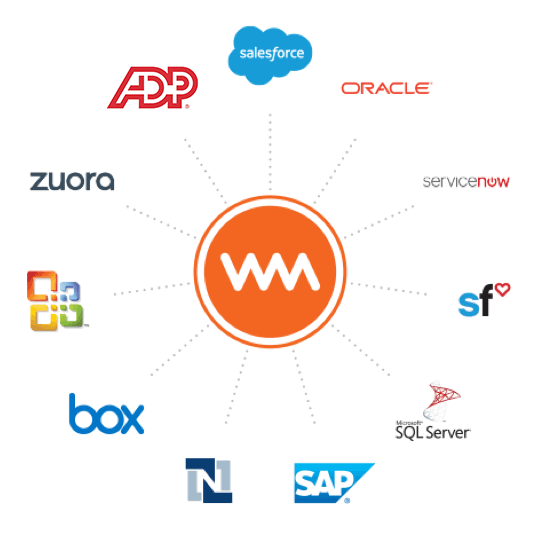 WorkMarket was designed to integrate effortlessly with leading enterprise workforce applications offered by Salesforce, Workday, ServiceNow and others. By triggering events tied to critical milestones in their selling, service and operating models, businesses can automate the provisioning of their workforces. Whether internal employees, external contractors or third-party partners, mobilize an on-demand workforce to address your most pressing business needs. Freelance engagement often starts with your alumni, full time employees who are retiring and taking valuable institutional knowledge with them. Wouldn’t be great to keep in touch with your alumni and engage them on projects when you need them? Now you can organize, manage and pay your entire freelance workforce with WorkMarket. Once you learn how to manage your alumni network, you can then invite other freelancers to join your bench of vetted, on-demand labor clouds. When your labor clouds are ready, send Assignments to qualified freelancers, when and where you need them. As your work gets completed, Assignments automatically convert into unique invoices with all of the required information you need to pay your freelancers and update Workforce Now. Platforms like Workday are great for managing your employees, but have you ever asked yourself – how much are we spending on contingent labor? The answer should worry you. How do you know that the workers your employees are engaging as freelancers is done compliantly? How do you get updates from your freelancer spend is captured in real time? Now you can understand the full scope of your contingent workforce engagements, from compliance to reporting with WorkMarket. 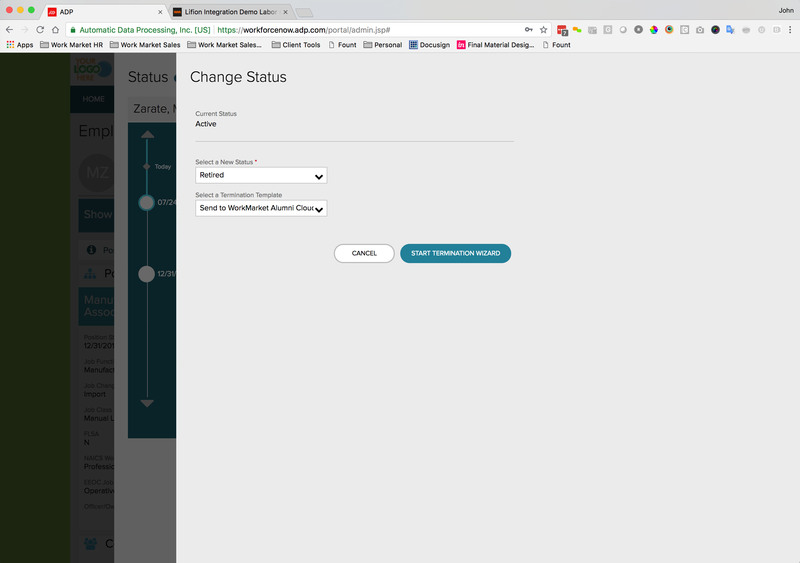 You’ve invested a lot in your ServiceNow implementation and want to maintain your user experience for your team within ServiceNow. But you also need to manage your contingent workforce alongside ongoing work requests. 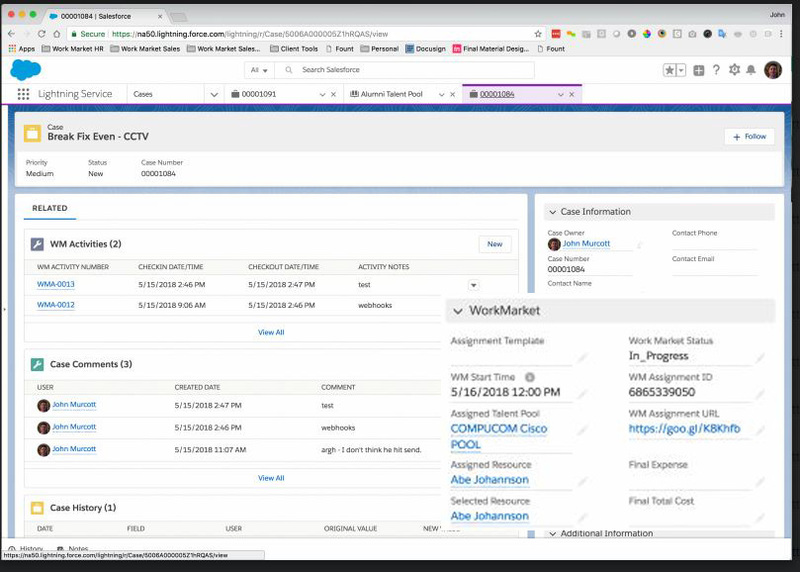 With the WorkMarket packaged solution for ServiceNow integration, you can now create a work request and send it directly to a Labor Cloud of on demand talent managed in WorkMarket. 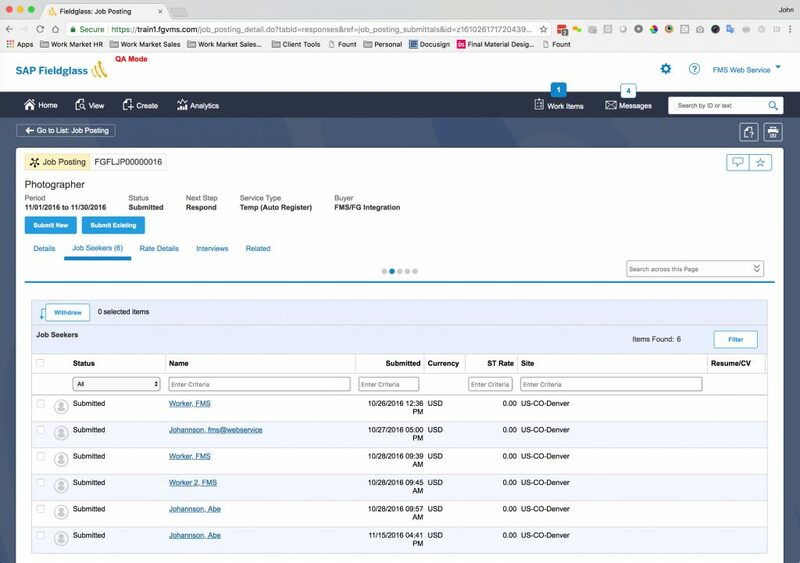 Match your work requests to the right Labor Cloud and let ServiceNow and WorkMarket synchronize in real-time as updates and events occur. You track all of your work and projects for your clients through a platform as powerful and flexible as SFDC. But who is going to respond to your open tasks or cases? You need a flexible FMS to route these to vetted, on-demand talent. WorkMarket’s integrated solution directly embeds your cases or tasks to an on-demand labor cloud of talent who can respond when and where you need them. Match your tasks and cases to the right labor cloud and let SFDC and WorkMarket synchronize in real-time as updates and events occur. 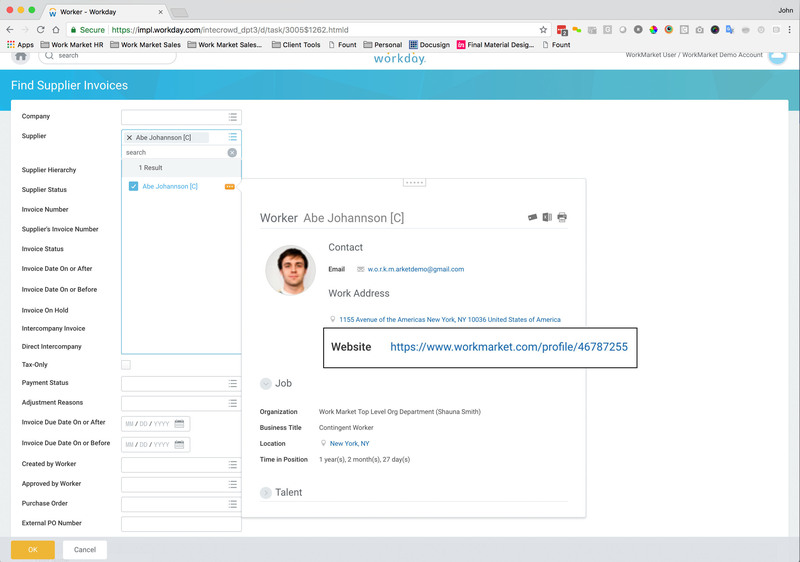 WorkMarket’s integration with Fieldglass follows the labor workflow you already know: submit a requisition, get responses, and select your candidate. 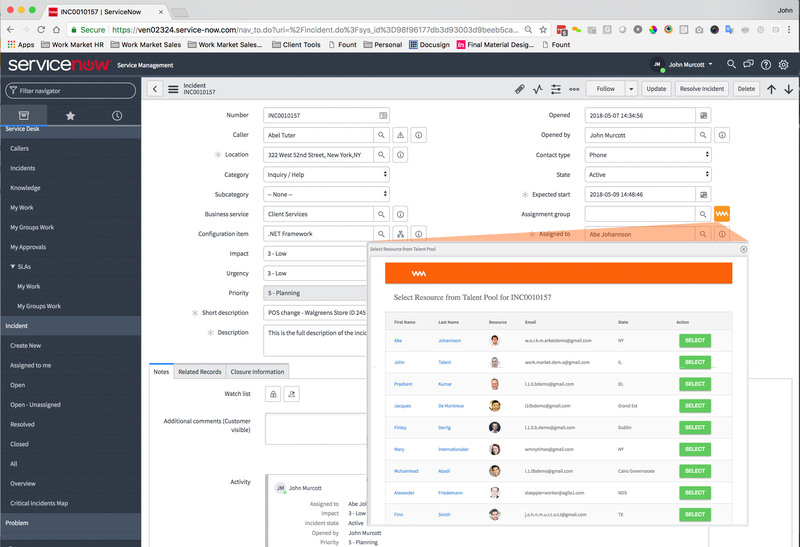 WorkMarket offers even more with labor clouds. Engage directly with freelancers and respond immediately, expanding your bench of talent. Get the best of both worlds, and eliminate friction with direct end-worker engagement. Tap into a direct source of freelancer talent, and always retain the option to look to your partners if no one is available on your labor cloud. Is your team bogged down by tedious manual tasks? Are you looking for more efficient processes to support your team and protect from human error? The WorkMarket Relay automates those processes to save you time and money. Instantly create a sales order in an external system when your WorkMarket assignment is approved for payment. Route assignments to a custom labor cloud, then expand to additional workers if no one has applied within 30 minutes. Automatically update your WorkMarket assignments when parts arrive onsite. Your WorkMarket Relay automation engine can power these efficiencies and more. 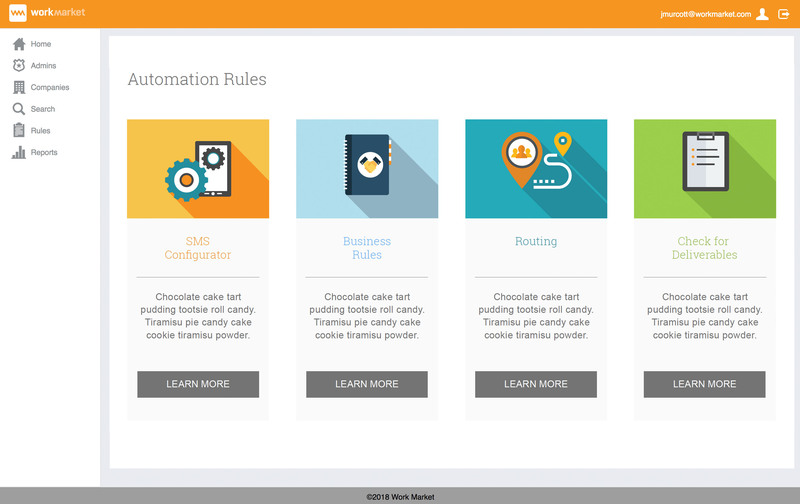 The Relay provides a flexible, cloud based, solution to add custom rules, validations and timed updates to help automate the work that you do. Looking to build an integration? Check out our Developer Center! 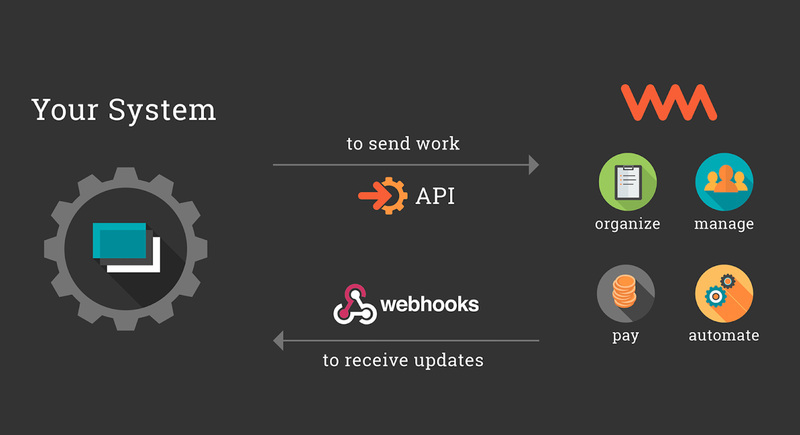 You’ll learn how to use WorkMarket’s APIs to develop your own integration.